One Eared Stag’s Robert Phalen turns a recently rehabbed corner of East Lake into a destination for iconic food that’s deceptively simple yet impeccably done. 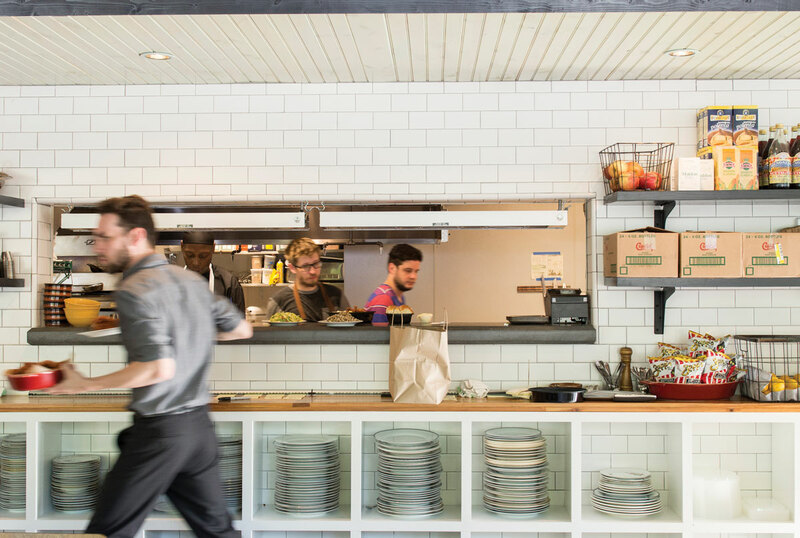 Most chefs start with a concept for a restaurant and then try to fit it into a location. 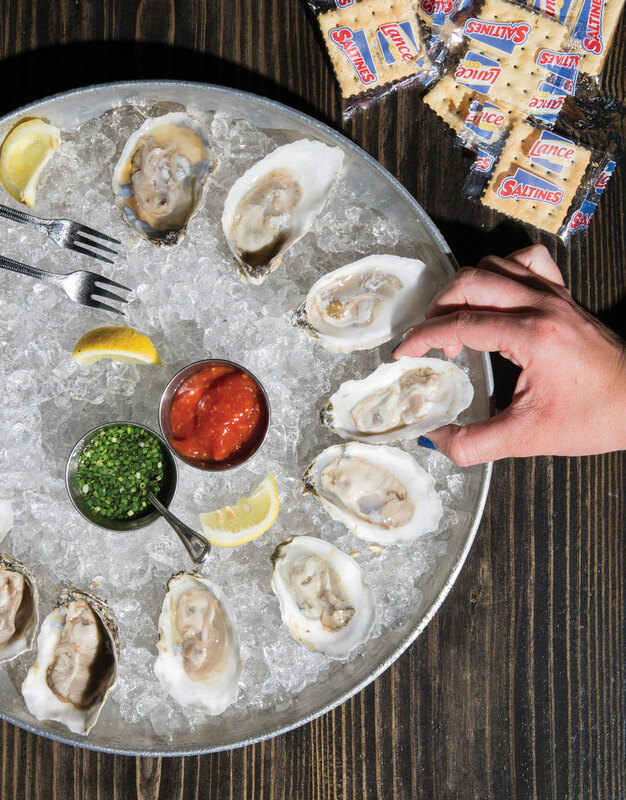 Robert Phalen instead zeroes in on a neighborhood in need of a gathering spot and develops a menu to suit the community—and to satisfy his desire to keep things fun. With Mary Hoopa’s House of Fried Chicken & Oysters, Phalen brings to life a modern version of the south Louisiana shacks that fry a mean chicken and shuck oysters day and night. He also turns a recently rehabbed corner of East Lake into a destination for iconic food that’s deceptively simple yet impeccably done. This is the type of grub that’s best consumed with buckets of beer or playful cocktails. After making his mark in East Atlanta, where he established (then sold) Holy Taco, and in Inman Park, where he found the perfect quirky spot for his low-key but ambitious One Eared Stag, Phalen has turned to the part of town where he lives with his wife and their three kids. He chose a format for Mary Hoopa’s that appeals to both the hipsters and the young families he sees every day on his street. As for the name, it’s an ode to a family friend who worked on his in-laws’ Louisiana farm and fed them and their children a thousand glorious meals—an act of respect by a chef who grew up in Chicago but married the South. 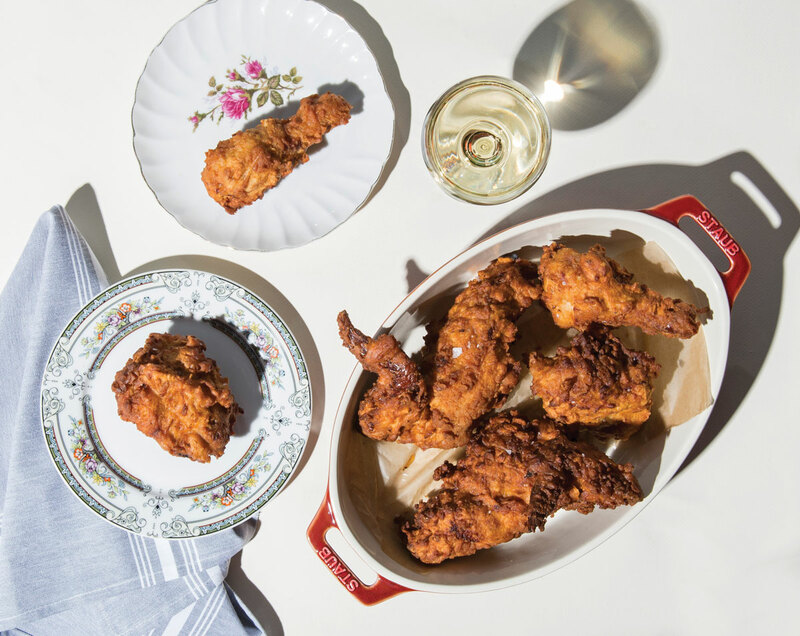 The chicken is an affordable pastured bird that’s brined and coated in buttermilk batter, quickly “reverse blanched” in high-temperature oil, and then moved to a second fryer, where it develops its gloriously golden-red and crackly crust. The oysters are equally fine whether served raw, grilled and adorned with preserved lemon, or fried in spicy-hot batter. From there, work your way through the menu. There isn’t one thing I wouldn’t recommend among the snacks, sides, or “bigger stuff.” These dishes closely follow family recipes but reveal clever twists. The shrimp remoulade with hot mustard and celery channels a shrimp salad; the warm, shaved Brussels sprouts get a flavor boost from soppressata; the Sea Island white peas are salted with pecorino; the wedge salad comes with a serious slice of braised bacon on the side; and the heritage pork chops in melted onions and brown mustard sauce receive a shower of fresh parsley. Regulars at One Eared Stag will recognize Phalen’s bold and beloved chicken sandwich with honey, fermented cabbage, and serrano peppers and his beer-battered smelts with malt vinegar and housemade tartar sauce. At Mary Hoopa’s, they also will discover a divinely funky, Louisiana-style dirty rice that uses Carolina Gold as its base; a memorable dish of polenta, collard greens, sunny egg, and braised bacon that combines all the major food groups into a divinely Southern small plate; and a creative roster of desserts including individual bundt birthday cakes with funfetti, buckwheat waffle chocolate tacos, and an ice cream “drumstick” with a chocolate shell. A large “bubbles” section will encourage you to pair French blanc de blanc or Spanish cava with fried food—with excellent results—but don’t let that keep you from ordering a tallboy of Bitburger pilsner with a shot of whiskey, draining a stubby of Coors Banquet beer, or toasting with beer ponies pulled from a bucket. The stylish space is a mix of industrial chic and rustic charm. Lofted, exposed ceilings, distressed concrete walls, and bright orange, Eames-style chairs mingle with reclaimed wood paneling and an antique sideboard. The back-of-house staff can survey the dining room through two kitchen passes, one overlooking the bar and the other offering a view of a diner-style horseshoe counter and a long community table similar to One Eared Stag’s. Healthier than a fry house and way more ambitious than a neighborhood diner, Mary Hoopa’s allows Robert Phalen to ease into his new gig as an interpreter of traditions—one who knows how to roll with the times. This article appears in our June 2018 issue.